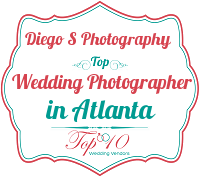 My name is Diego Im a Full time professional wedding photographer, my company name is Diego'S Photography and I’m located in Atlanta GA. I specializing in vibrant and genuine custom fine Art portrait, headshot, and Lifestyle photography. We offer best Photography services in Atlanta in studio and location. Our main goal is to tell the story and show emotions. Diego’S Photography has is affordable, has a terrific quality, artistry, integrity and has friendly knowledgable staff. I’d love to have the possibility to be part of your special Event or help you to build your portfolio. Please visit my website so you can have a glance of my photography work.